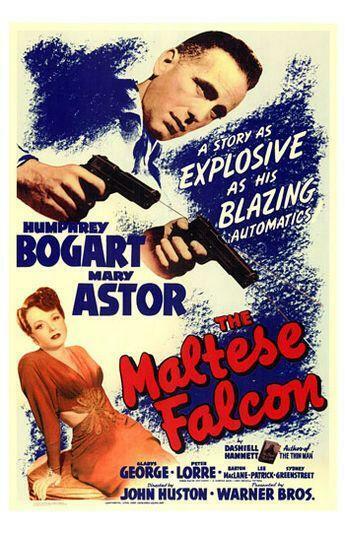 Most of you have seen "The Maltese Falcon" with Humphrey Bogart or Orson Welles's "Touch of Evil." Those are arguably two of the greatest noir films ever to grace the silver screen. Noir as a genre isn't restricted to the screen, however. The Maltese Falcon is based on a famous pulp character named Sam Spade, who's been lauded and lampooned ever since his made a mark in pop culture thanks to Dashiell Hammett and Black Mask magazine. Noir rose to popularity in radio and text during the escapist 1930s and 40s and had its heyday in film during the 1950s. In recent years, noir seen a revival on screen in works like Brick, Kiss Kiss Bang Bang and The Departed, all of which play on the classic slang, the visual style, and the hard boiled nature of the noir genre, giving it homage and hitting it with witty barbs. All of this begs the question why now? While assisting another idiot push his car out of the snow in early winter 2006, I made a anachronistic comment to my roommate that was amusing, but wholeheartedly out of place. This got me to thinking about noir. In an age where internet slang has replaced the simple and regional slang that used to dominate colloquial speech, we are increasingly finding interest in the ways in which technology and recorded history have allowed us to view societal change. More than ever, we have become obsessed with the new and original while forgetting what was new and original less than a century ago. When someone makes a comment with a slang term that's out of date--"That's spiffy," for instance--we laugh. Yet in 50 years time, internet slang as we use today will seem as dated and out of place. Ace Harmon was conceived as a classic noir detective stuck in a modern technological world, using the same techniques and slang of noir detectives long past. It's as much an homage to the entire noir genre as it is a playful ribbing of the entire idea of the headstrong, cocksure, and utterly outmatched and out of place city sheriffs that once dominated the popular consciousness. Sam Spade, Film Noir, and the Hard Boiled Detectivegenre.